Sprague's and American pipits have overlapping habitat requirements in North-central Texas. Field identification is usually only troublesome if the observer sees them on the ground from a distance. While it's best to see the facial features, their backs are quite different as shown here. 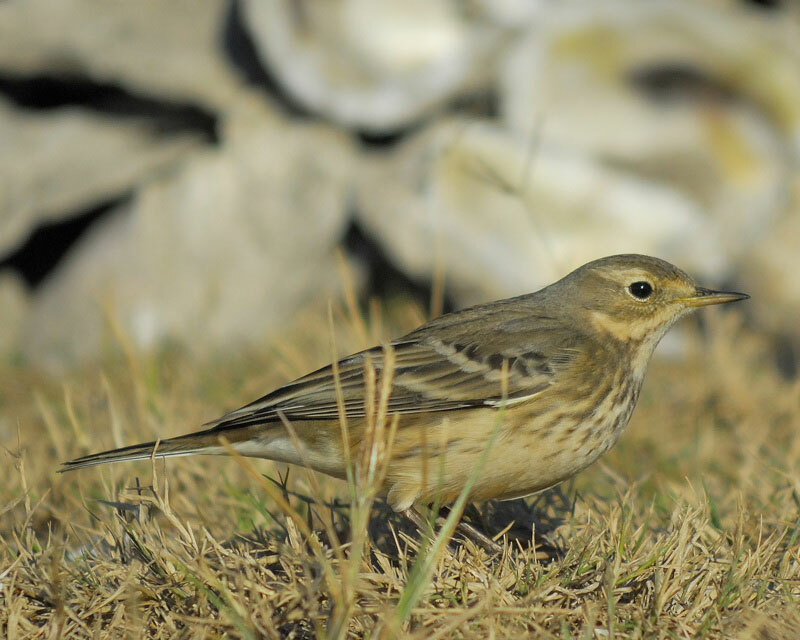 Status and Distribution: Both species are regular winter visitors, but Sprague's Pipits are generally rare while American Pipits are fairly common.